The summer rains of 2008 were quite generous across much of the Sonoran Desert. As a result plants and the insects that feed upon them have grown and reproduced in abundance. Even species that are rather scarce in most years are showing up in numbers. 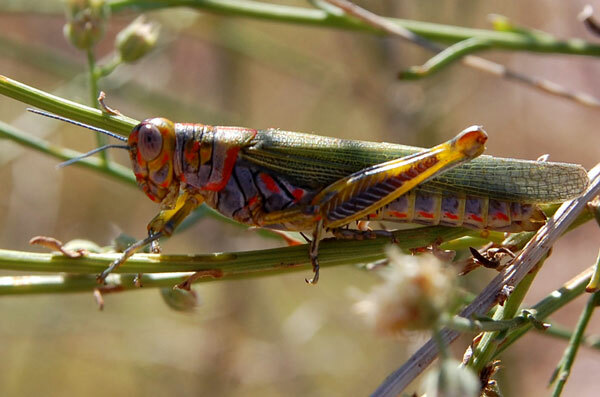 This grasshopper feeds on members of the Asteraceae.